Agency iD Experiential has hired Barnett Fletcher as its newest business growth consultant. Fletcher moves from the Engine Group where he was a consultant. In the role Fletcher will develop business in new sectors for the agency, including technology, financial services and automotive. He will also develop experiential opportunities within sponsorship activation. Fletcher founded and headed up The Barnett Fletcher Promotions Company in 1990, and has since gone on to work for agencies including, McCann, Synergy, and Lowe. During his 25 years’ in the industry, Fletcher has worked with many high-profile brands including Nestlé, Unilever, Wrigley, Diageo, Google and American Express. Said Fletcher: "I am delighted to be assisting my friends at iD. I have watched them grow from the early 90s whilst running my own companies in the sector and I feel have unfinished business." Fletcher said he hopes to add some additional clients and expertise to help iD in its next phase of growth. Paul Ephremsen, chief executive of iD Experiential, said: "We are extremely excited to have Barnett as part of our senior team. 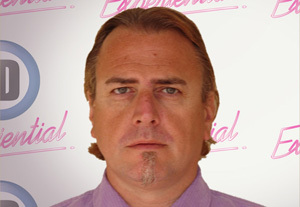 He has been in the experiential sector since the beginning and his experience is unrivalled." Fletcher’s appointment is iD’s 10th new hire this month following an agency wide expansion. To leave a comment, register and let us know your thoughts.